Cute signs led us to our rooms! When we got to our room (I'll do a separate blog entry on that! ), we had surprise gifts in our beds :) Woot woot!!! My favorite part: SPA TIME!! Oh my goodness. The massage was divine! :-) To all the massage/spa lovers out there, you guys should definitely go to Sonya's Garden Tagaytay for their spa! So worth it I swear. Got to explore the place before dinner :) I'd love to live here for a week or maybe forever hahaha! Got serenaded by tatay while having dinner! Here are FITFLOP's newest products! 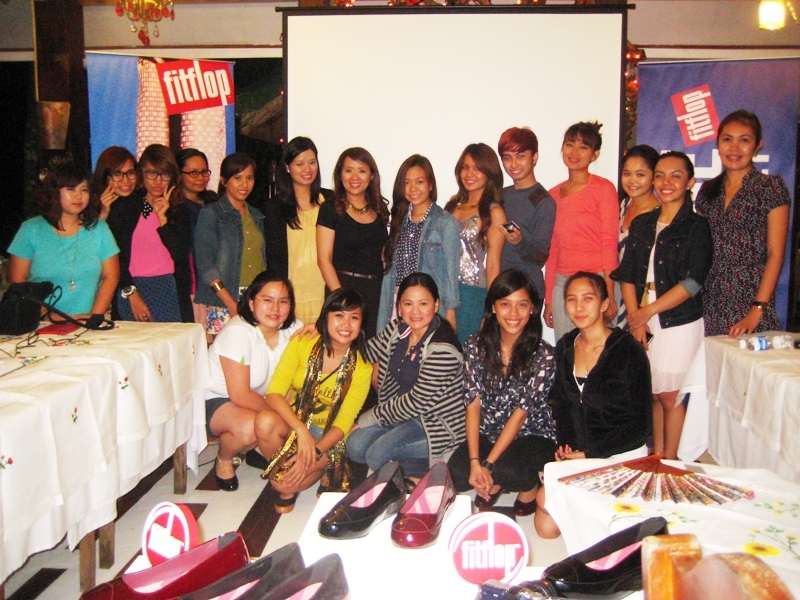 I'll give you 3 reasons why you should buy FITFLOP FLATS! 1. It's stylish. At first, I had doubts when I saw the designs. But when I wore it, darn! It looks good with dresses, jeans, shorts. Everything! It looks really neat! 2. It's SUPER comfortable. All fitflop products are uniquely made. They use materials that are good for your feet. Unlike your ordinary flats, FITFLOP flats won't make your feet hurt after hours of walking. 3. It's versatile. Use it in school, office, trips etc! All the designs look so elegant. My favorites are the maroon patent & the two-toned ones. These are what we had for dinner! :) Such a great idea to serve us pasta noodles with different sauces (?) SARAP LAHAT! Hope you enjoyed my photodiary! So sorry I don't have photos of people. I tend to get artsy and all "photographer mode" when I'm in a beautiful place. Haha!